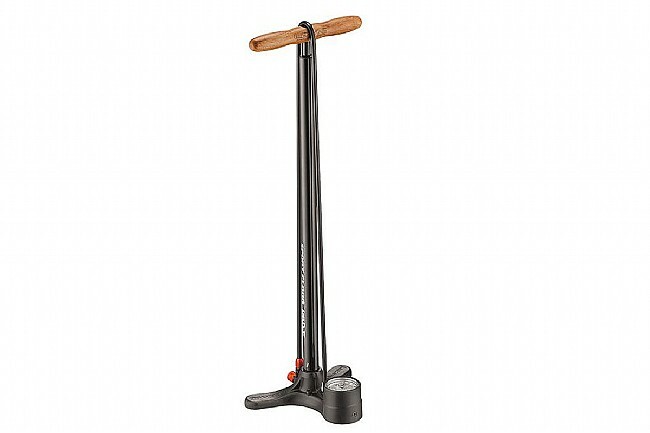 The Sport Floor Drive Tall with ABS1 Pro is a Floor pump with a steel barrel and piston, composite matrix base, and a varnished wood handle. Large, easy-to-read 3.5 inch gauge. Extra long, durable hose with composite matrix couplers. Equipped with an ABS 1 Pro valve.